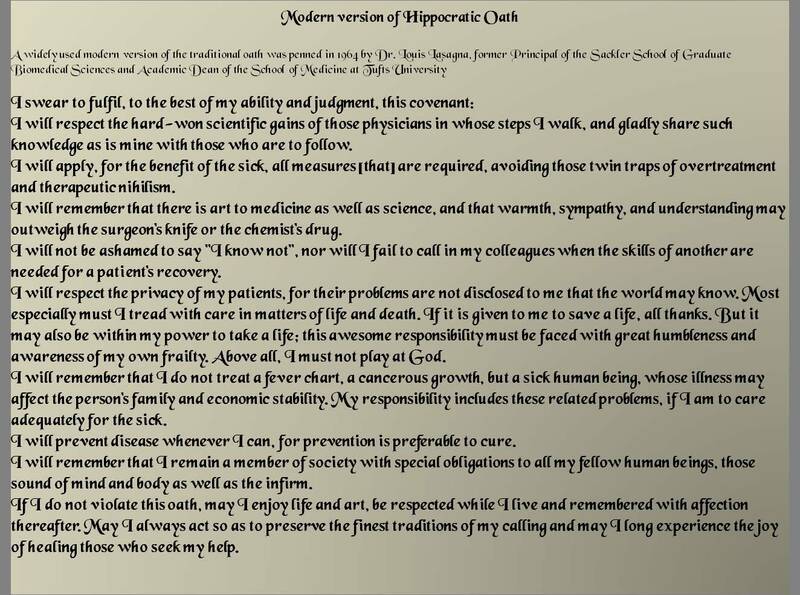 The Hippocratic Oath has bound the profession of Medical Treatment for Thousands of Years. We believe that the Principles enshrined in the Oath are sacred. However, an Oath taken under pressure of “Graduation” or “Being Able to Qualify in a Course of Study” may be counter-productive unless the Oath is taken from the Heart by the Practitioner. 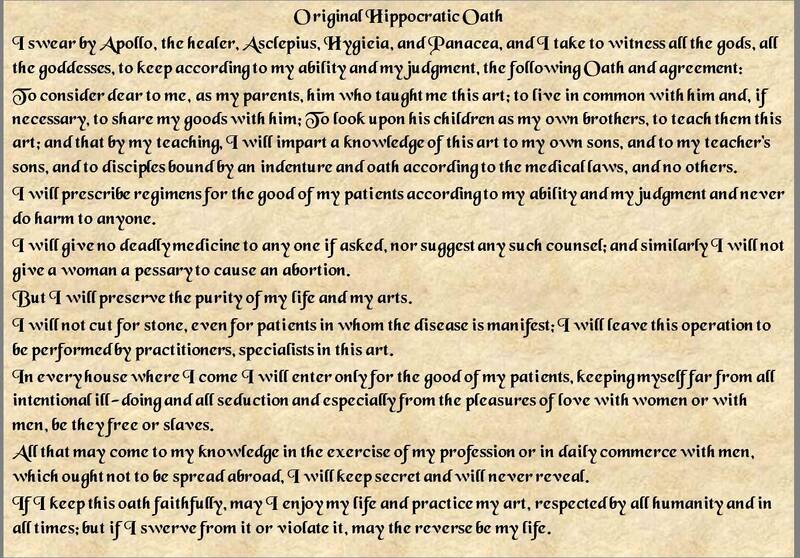 We urge all Practitioners to see the Oath, not from their minds, but from their Hearts and then decide about adopting it.